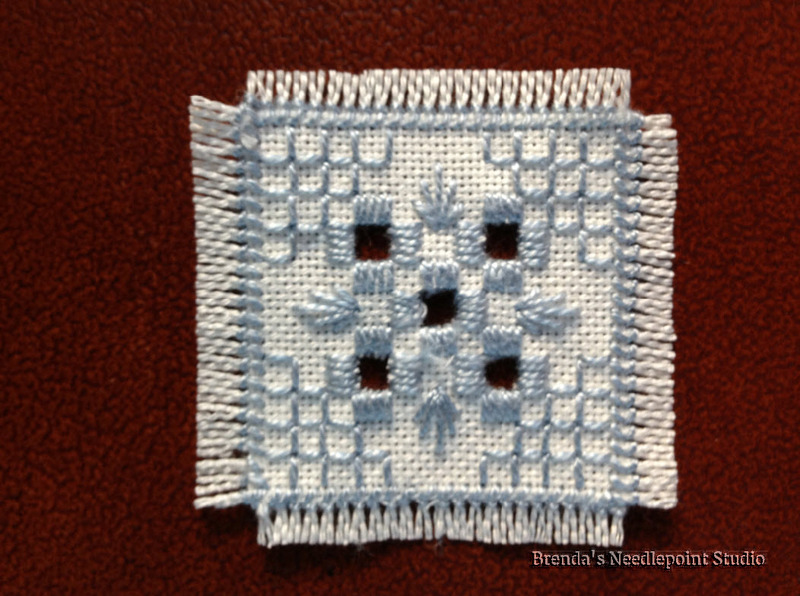 August 13, 2013--Purchased this little kit to "practice" hardanger stitches learned last year at a chapter led class to make a hardanger doily. 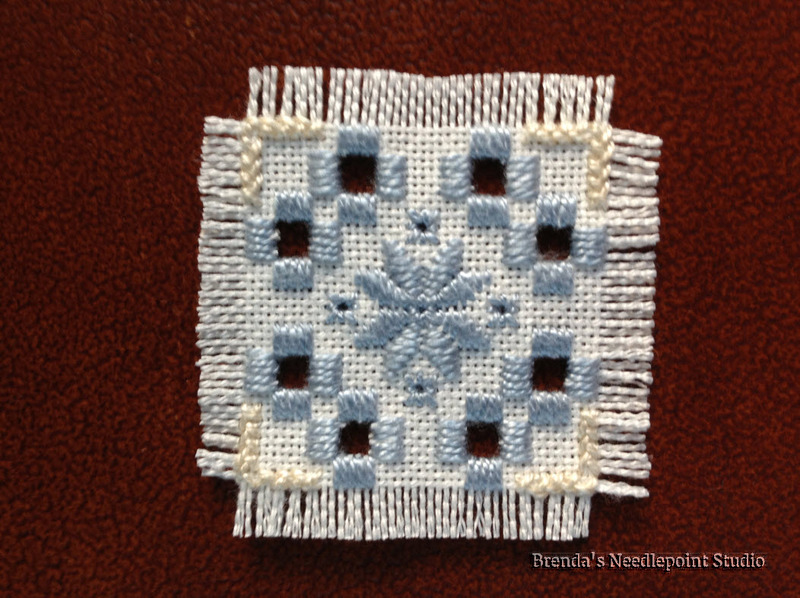 There are four blocks to stitch, each progressively more difficult. Have completed the first two and know for certain that I really do need to practice before I take on a more ambitious project. It's very important to properly lay the satin stitches called "klosters" before cutting the threads, otherwise it's too easy to cut the stitching along with the linen threads (been there and done that). 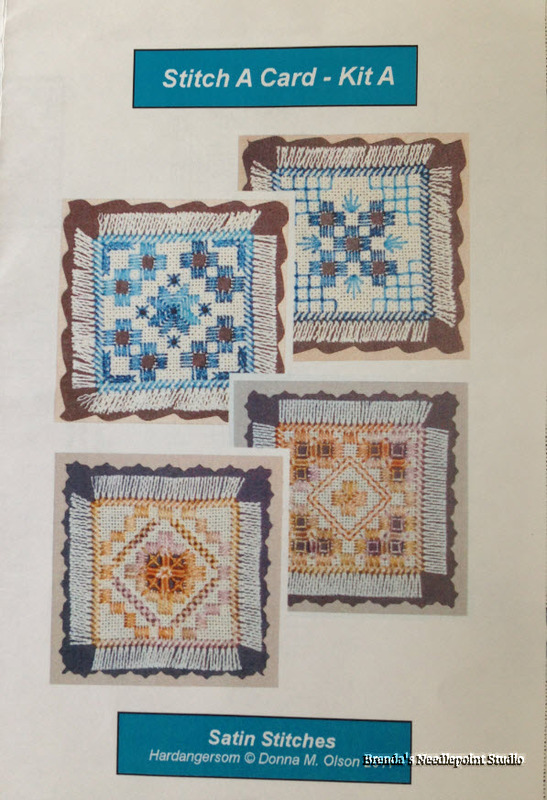 Also purchased a booklet by Janice Love called HARDANGER BASICS AND BEYOND, 2006. Great diagrams, pictures, detailed instructions and lots of small projects to work on.